The Central Government, after verification of such changed particulars from the enclosed proofs, shall incorporate the said changes and inform the applicant by way of a letter by post or electronically or in any other mode confirming the effect of such change. To Whom Should I apply for DIN? DIN is allotted by ministery of corporate affairs of India.you have to apply in your respective state office. What are the documents required to be filed for allotment of DIN? What type of information should an ID proof contain? What things should be taken care of while filling form DIN-1? No prefixes like Mr. / Ms. / Kumari / Shri etc should be used in filling the applicant’s name. Enter the applicant’s name and father’s name in full and do not use abbreviations, even if the ID proof contains the name in abbreviated form. The particulars filled in form DIN-1 should match with the details given in the supporting documents to be submitted along with DIN application. What is the validity of regular DIN? A regular DIN allotted to a person is valid for the lifetime of the individual and shall not be allotted to any other person during his lifetime. What is the validity period of provisional DIN generated on line by the applicant? 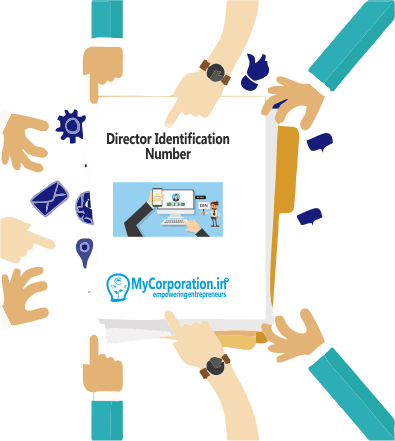 What is Director’s Identification Number? DIN stands for Director’s Identification Number which is allotted to an individual who is an existing director of a company or intends to be appointed as director of a company pursuant to section 266A & 266B of the Companies Act, 1956. Is the provisional DIN retained on approval? Yes, the provisional DIN generated online is validated as a regular DIN after the process of scrutiny and approval.